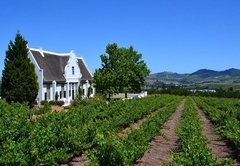 Bellevue Manor Guest House is one of the Stellenbosch guest houses and provides accommodation in 7 guest rooms for tourists visiting the Cape Winelands region. 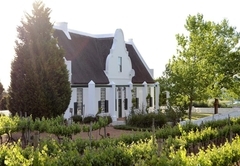 Bellevue Manor Guest House is set on a 4.5 hectare wine farm and provides accommodation in eight spacious suites with lounges and private patios. 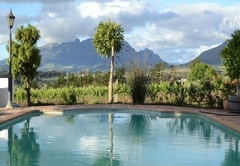 Each suite overlooks the mountains, vineyards, the swimming pool and garden area. 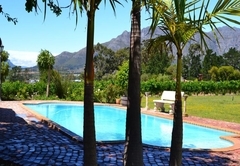 There is parking with easy access for the elderly and disabled and on site facilities include a braai area and wellness spa. 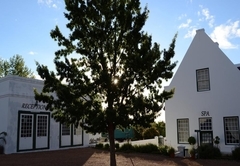 The B&B suites have an en-suite bathroom, air conditioning, heaters, a fireplace, DStv, a tea / coffee station, mini bar and free Wi-Fi. 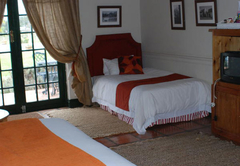 Extra mattresses for kids and baby bassinets can be provided. 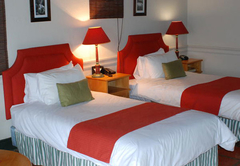 These suites are furnished with two single beds. 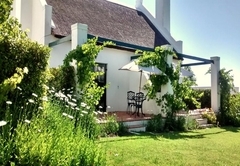 This spacious cottage is furnished with a Queen-size bed and one single bed. 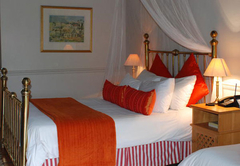 These rooms are furnished with a Queen-size bed and one single bed. 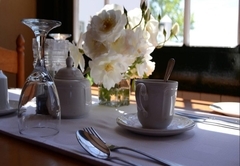 Each morning, a hearty country breakfast is served in our lovely breakfast room. 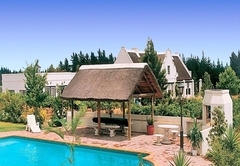 Spacious suites in typical Cape Dutch style with 2 single beds, lounge & private patio. 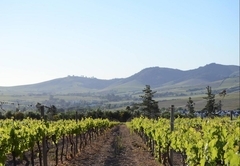 Beautiful views of the mountains & vineyards. 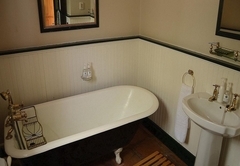 En-suite full bathroom. 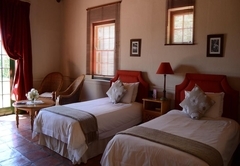 Air-con, fireplace, Wi-Fi in room. Extra mattresses for kids & baby bassinets can be provided. 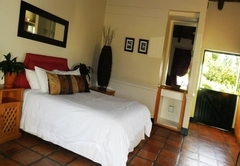 Spacious cottage in Cape Dutch style with Queen bed & 1 single bed, lounge & private patio. 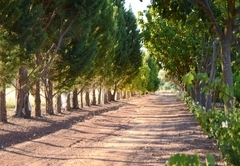 Beautiful views of the mountains & vineyards. En-suite full bathroom. 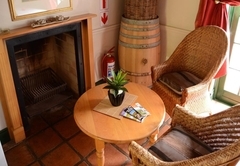 Air-con, fireplace, WiFi in room. Extra mattresses for kids & baby bassinets can be provided. 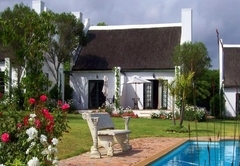 Spacious cottages in Cape Dutch style with Queen bed & 1 single bed, lounge & private patio. 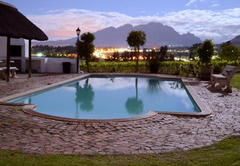 Beautiful views of mountains & vineyards. En-suite bathroom (bath only). A/C, fireplace, WiFi in room. Extra mattresses for kids & baby bassinets can be provided. Response timeBellevue Manor Guest House typically responds to requests in 5-10 minutes.